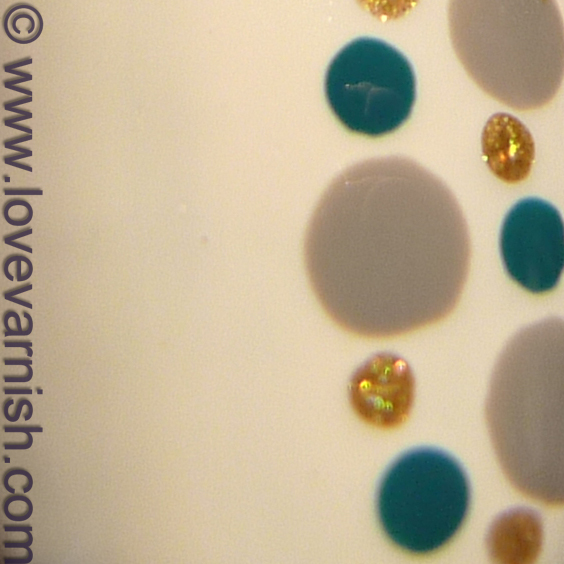 Love Varnish: Some splatter, some dots.. Bondi, Essie, H&M and OPI all in one! Some splatter, some dots.. Bondi, Essie, H&M and OPI all in one! Hi loves! Sunday night already, where does the weekend go?! Hope you had a good time. Today I have a fun manicure for you I wore earlier this week. It involves 4 different brands and I quite liked the final result! I started with a base of OPI My Vampire Is Buff (are you getting bored of this one already?) and let it dry for a while. After it dried, I grabbed Essie Chinchilly, H&M Golden Treasure and Bondi Tavern On The. I used the splatter technique on my middle and ring finger, and my pinky, thumb and index got dotted! I used 3 sizes of dotting tools for it. After letting it dry for quite some time I used a layer of topcoat to seal it all in. 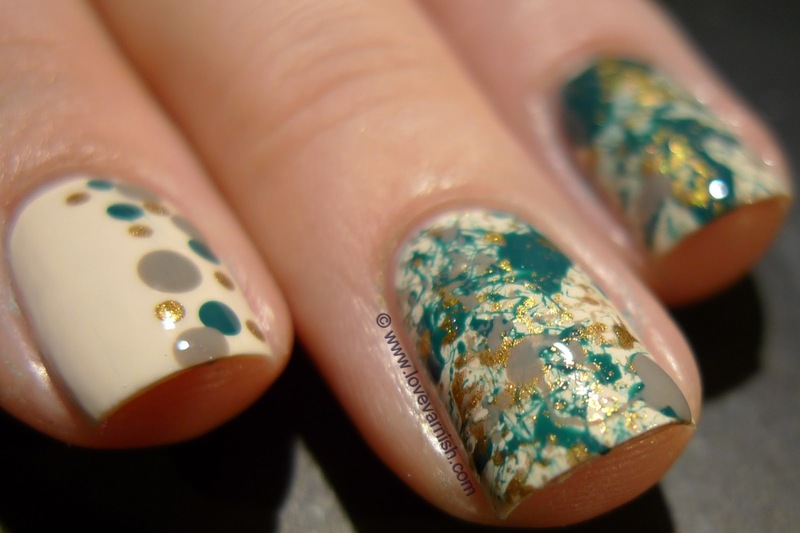 Do you like this combo manicure? And do you prefer dots or splatter? Tell me in the comments! The color combo is awesome!! These colors work so well together! I actually thought I had My Vampire is Buff....but I don't. Shame on me! Oh wow, I love it!!! It looks really cool. and I really like the color combination. I love this!! I am a failure at splatter manicures, lol. Absolutely gorgeous! I love the colours together! I usually prefer dots, but...this mix is soooo appealing! And the colour combo is just perfect. WOOOOHOOO haha, I am happy to hear you finally got it ;-). Now if you don't like it don't blame me haha. Thanks for the sweet words, splatter is so much fun to do! 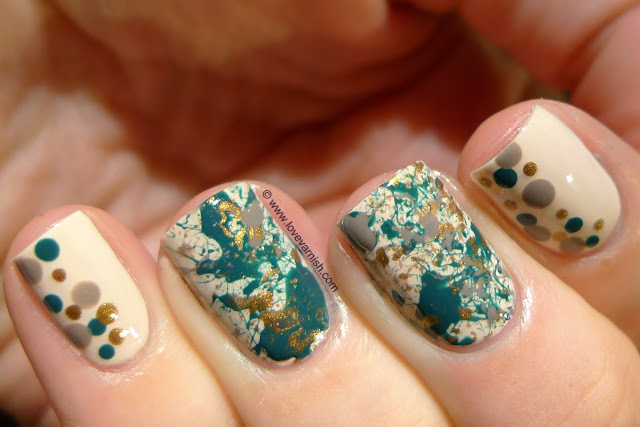 I've never been into splatter manis, but this makes me want to try it! So pretty! Thanks my dear! It is fun to try :).